Palisades - Huge upper deck with sensational views of the entire valley. 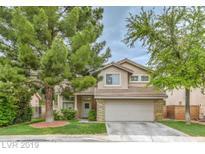 MLS#2088984. BHHS Nevada Properties. Canyons - Stunning NEW hm,OVER $250,000 IN DESIGNER UPGRADES,Grtrm w/12 ft sliding glass drs & vaulted ceilings,hardwood flrs & contemporary tile.Dream Kitch,quartz cntrtps w/waterfall edge,subway tile bcksplsh,Gray Cbnts,Culinary grade appli.w/ B/I refrige,pot filler,upgrd lighting t/o,Mstr bth custom frosted glass shwr w/quartz surround &cntrtps, floating strs,loft,closet organizer w/quartz cntrtps, wi-Fi thermo's,wireless access points, So many upgrades MLS#2088671. Realty ONE Group, Inc.
South Edge Inspirada Village - Upstairs laundry w/cabinets~Sink. All Appliances Stay. 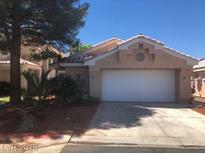 MLS#2088824. Simply Vegas. Sandcastle - Ready for your client to move in!! ! MLS#2088637. Centennial Real Estate. Highpointe Sunridge - Enjoy your opulent Master Suite complete with balcony & jetted tub.Welcome Home! MLS#2088885. BHHS Nevada Properties. Enjoy Your Private Backyard Or Walk To Green Valley Ranch, Parks, Community Events & More! MLS#2088882. Keller Williams Market Place. Sunridge At Macdonald Ranch - Coveted Location Minutes from Shopping, Highway, Parks & Paths >>>View Photos MLS#2088750. Synergy Sothebys Int'l Realty.